DAP is the best free download manager available over the cyberspace. Why? Because not only it offers faster downloads, it also includes several other features like a web browser, a zip file viewer, a file shredder, and many others. It has a clear interface and is simple to use. Latest version of DAP allows its users to preview a video file while the download is in process. DAP also offers an automatic categorization of downloads based on their file extensions. However, it is seriously challenged by the younger Internet Download Manager (IDM) which offers faster download speed. Nevertheless, the free version of IDM can only be used for a month, after which it requires to be purchased. To sum up, in the long run of endless downloading needs, DAP wins as the best freeware. 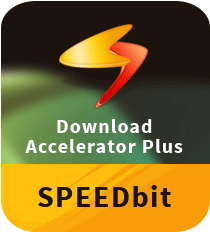 Download Accelerator Plus is one of the most effective download managers developed by SPEEDBit. The Windows software is best known for accelerating downloads with its patented multi-channel technology. It makes use of parallel mirror sites in order to boost downloads. This download managing tool for PC can boost your Internet download speed using HTTP and FTP, and with the new Mirroring Speed Boost, it is able to search and use faster download sources while you download. In addition, DAP improved its download security with SPEEDBit’s Multi Antivirus (MAV) Analysis, a program which shows your downloads rated by the world’s top antivirus applications. Download Accelerator Plus for Windows has the ability to grab videos from several popular video hosting services such as YouTube, Metacafe, and Vimeo. The application features a built-in video converter so you can download a video from YouTube and quickly convert it into a format that you can watch later on your system. It allows you to convert videos into a number of formats for free. Moreover, you can also convert a video into an MP3 file. The download manager for Windows automatically searches for the fastest download sources and switches to faster mirror sites during the download. Apart from this, the program can also be customized using a number of video expansions and add-ons. Download Accelerator Plus’s full version offers a decent set of features, and there are also multiple add-ons you can install to customize the tool to suit your specific requirements and usage patterns. One of the most useful features in this downloading utility is that it comes equipped with an integrated web browser that considerably reduces the time spent looking for files you would like to download. Furthermore, it also searches for mirror servers and requests the file from multiple sources at the same time for the fastest possible transfer speeds. Download DAP (Download Accelerator Plus) today to quickly download various files. Other valuable features of the latest version of DAP include the ability to preview your files before they finish downloading. You are able to preview audios, videos, and many other media content while the download is still in progress. Moreover, you can also start watching a video as it continues to download in the background. This downloading manager for PC allows you to share your downloaded files with your friends without any hassle. Once the downloading process has been started, you are given real-time information about the download progress and of your total download speed. You can also access more specific information in an additional window where downloads are organized in individual tabs that tell you about the estimated time left, the speed, and the transfer rate for every connection. DAP comes with a simple yet intuitive UI that can be easily navigated by both beginners as well as power users alike. The app’s main window offers a list at your disposal where files are displayed according to a sorting criterion of your choice, providing information such as name, size, progress, and date of creation. For enhanced ease of access, you are provided with the possibility to create folders in which specific formats are downloaded by default. There are many presets available to sort software, music, compressed files, images, videos, and documents. On top of that, you can also copy and paste any video URL into the program and it will then simply grab the raw video file and downloads it onto your PC. Its patented, multi-channel technology empowers you to download videos, photos, and music files with a higher level of speed and efficiency. The Internet software is easy to handle and does not require any specific knowledge in computing. It keeps all your downloads and organizes them by category. DAP is available in 40 different languages. The application’s Link Checker enables you to check a download link before you actually start downloading the file. Link Checker allows you to avoid broken, removed, and expired links. > Supports various popular browsers, including Firefox, Google Chrome, Opera, etc. Download Accelerator Plus is a consumer app that makes sure your system uses maximum bandwidth to accelerate downloads by using parallel mirror sites for downloading your files. This file transfer tool allows accelerating the download process so as to quickly obtain a file from the Internet. You can also watch previews of videos as they download. Furthermore, the tool integrates its own web browser that permits you to navigate the web and look for the files you wish to download. In addition, DAP’s integrated scheduler enables you to download files and organize all your download sessions with ease. This results in downloading of the desired files at very high speeds. The program offers you improved download speed for any type of file, user-friendly interface, as well as protects your privacy at the same time. Overall, DAP makes downloading all types of files convenient than ever by increasing speed.